FLEURCO specializes in the design , manufacture and distribution of a full range of glass shower doors. Our company relies on the latest technology and designs to offer you top quality products. 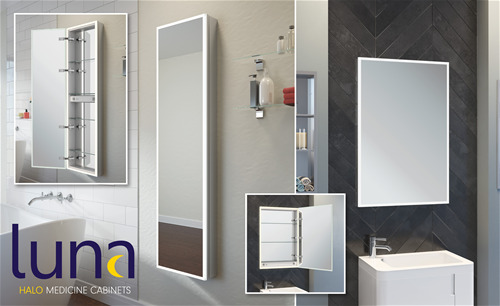 Come see our expanded line of bathroom products making us a one-stop shop! We pride ourselves on these three pillars: Quality. Design. Service. Fleurco is unparalelled in the industry, offering our customers the highest level of service, both before and after purchase. HALO Medicine Cabinets- New to FLEURCO!